Top by COMMA, with 3/4-length sleeves and stand-up collar. 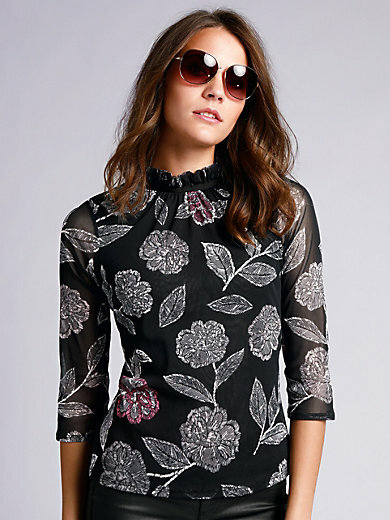 The subtly transparent mesh material is decorated with a refined floral print which makes each top unique. Fashionable style with a ruffled stand-up collar and a button loop at the nape of the neck. The torso has an opaque lining. Outer material and lining 100% nylon. Length approx. 23ins. The top is machine washable.